There are many reasons for the inactive JDBC sessions to happen. Following are the brief details how the JDBC connections are established and are maintained in pool. In E-Business suite environment, the JDBC connections are established with the server when there is a database connection request comes from the client. 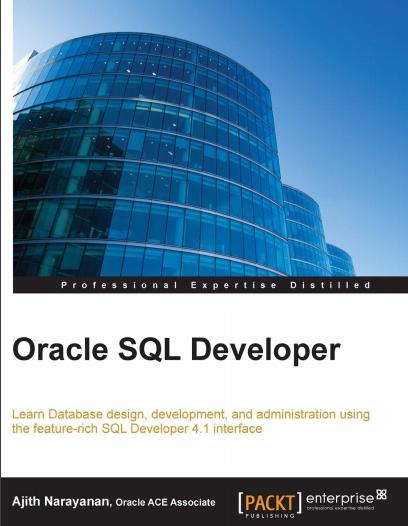 In Oracle applications we use the JDBC thin driver out of various database connection drivers. The AOLJ Database connection pool is intended to have a farm of open JDBC connections to the database which can be borrowed by the java code running in the OACoreGroup for a short time. Performance wise this is more efficient since it saves opening and closing of a JDBC connection each time. This however means that a connection can be idle for quite a long time when there is little activity in the system. Note that each JVM has it's own connection pool. So, if there are 2 JVMs running for OACore, then there are also 2 connection pools. This is important since it also means that the max number of JDBC connections in this case is 2 x FND_MAX_JDBC_CONNECTIONS. Specially in large environments with multiple MT servers and multiple JVM's the total number of connection could become too large. Unfortunately there is no mechanism implemented in the connection pool which performs some kind of 'heartbeat' (like we have in Forms) for idle connections. Also there is no mechanism in the Connection pool to determine whether the JDBC connection to the database has been dropped. So the JDBC connection in the pool still seems to be valid until some code borrows it and then finds out that the connection has been dropped. We can drop all the INACTIVE connections at once. Later, when high number of new requests for JDBC connections are received then a lot of new connections have to be created which does not benefit system performance. The JDBC connection pool, neither knows nor cares whether a given user is still logged in. It only cares how many different user sessions need access to the database right now. 1. Check the for the JDK version being used it the instance. From JDK 1.4.2 onwards as a thumb rule it is suggested to use 1 JVM per CPU for 100 active connected users to OACoreGroup. If JDBC connections are being retained in the pool then this will ensure connections are dropped as soon as the application has finished with it. Ensure that the current setting does not allow more connections to the JVM than JDBC connections, which is not best practice. Changing security.backlog, in particular, can lead to user connections hanging. This setting will delay any recovery of a dead JVM by mod_oprocmgr. If a JVM is not responding in 45 minutes (default setting) then tuning should be implemented to resolve this, rather than allowing 45 minutes of no response. If some JVMs out of many are not servicing requests and generating "java.lang.NoClassDefFoundError" errors. Disabling Distributed JVM caching would eliminate this cause of the problem. Disabling Distributed JVM Cache is achieved by changing "LONG_RUNNING_JVM=" from "true" to "false" in the jserv.properties. This is controlled by AutoConfig parameter "s_long_running_jvm"
'FND: Application Module Pool Minimum Available Size' value to 0 (which is the default). where jvmid is the process seen in query output above. The output goes to OACoreGroup. *.stdout file. Post those files to Oracle Support for reveiw. 12. If there seems to be a lot of blocked sessions in the database. Check 2 or 3 locked/blocked sessions to ascertain the user, sql and row locked. You can use utllockt.sql ( Note 166534.1 : Resolving locking issues using utllockt.sql script ) as the starting point. Post the output from utllockt.sql in addition to the SQL / row lock information for 2 or 3 sessions to Oracle Support.